Peru can boast of extremely long and rich history and culture. As it is indicated by historical sources at the present territory of the Republic of Peru lived in the period from 3000 BC one of the world’s oldest cultures, called Norte Chico. Later on it was followed by the famous Incan culture, which has reached an extremely high level of civilization and culture, which attracts our admiration till today. In the 16th century was this territory conquered by the Spanish conquistadors who declared there the Viceroyalty of Peru – so the country became the Spanish colony. 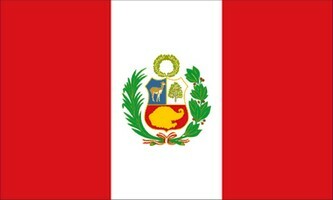 In the early 19th century after the liberation struggle the independent Republic of Peru was declared. This historical development marks that in the current Peruvian culture and art coexist in an impressive symbiosis Hispanic elements along with the rich cultural heritage of the original inhabitants and in today’s times also with inevitably incorporated modern effects of globalization.